A beachside town south of Wollongong and home to a picturesque boat harbour, Shellharbour is a charming family community, with living focused on the beach areas and the delightful Shellharbour Village with its range of boutique shops, homewares stores and alfresco cafes. Its two main beaches are Shellharbour Beach which runs to Barrack Point and Shellharbour south Beach which runs toward Bass Point. There is an oceanfront swimming pool and adjacent children’s wading pool and an assortment of fishing, swimming and surfing venues. Adding to the ease of lifestyle, there are 12 Parks, 4 Child Care Centres and 2 Primary Schools. Local Amenities include 2 Clubs, a Post Office and 4 Churches of different denominations. Originally known as Yerrowah and later as Peterborough, the area was home to indigenous Australians for thousands of years prior to English settlement in around 1817. Shellharbour gives its name to the Local Government Area, the City of Shellharbour. The population in 2006 was 3,683 with the majority in the 40-49 years old age range. The largest division of the population is employed full time and work in the technical and trades field, most travelling to work by car. Of the approximately 1,249 dwellings, 77% are single family homes. 40% of these are fully owned and 31% are financed. 73% are owner occupied a testament to its great ‘liveability’. The current median sales prices of houses, units and vacant land is $430,119 as compared to $449,484 for the Local Government Area of Shellharbour. 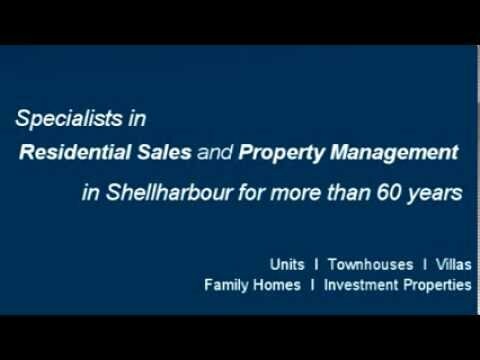 Over the years Shellharbour has undergone extensive development with new homes and shopping areas being constructed. Addison Street, the centre of town, has many cafes and shops and meanders down to the Ocean Beach Hotel opposite the harbour. Also adjacent to the harbour is the Beverly Whitfield Park (Shellharbour local and 1972 Olympic gold medallist in breastroke) and Tom ‘Scout’ Willoughby cricket oval.